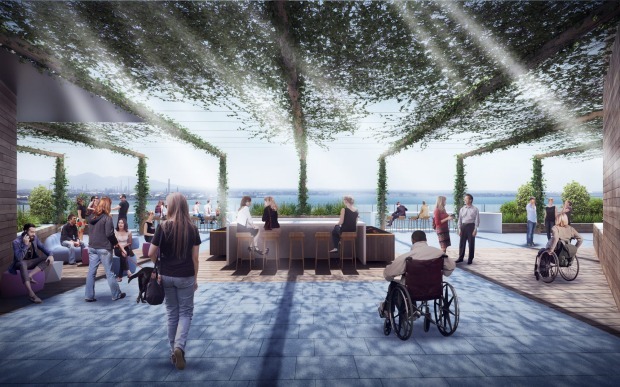 A proposal for the new $120 million National Disability Insurance Agency headquarters in Geelong will set new standards for accessibility that could one day become mainstream. That is the hope of Quintessential Equity’s Shane Quinn, who recruited the services of Paralympian Nick Morris to help design the 13,500 square metre project. 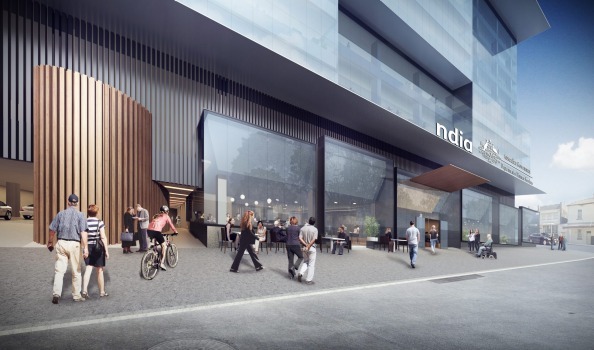 The proposal for the eight-level tower at 44 Ryrie Street in central Geelong is one of the first bids for the NDIA tenancy in Geelong. The agency’s own requirement for 7700 sq m has been combined with a 5000 sq m requirement by the Department of Human Services. The Quintessential plan incorporates state-of-art features for accessibility such as “through car” lifts, enabling wheelchair users to roll through, entering a lift on one side and exiting on the other.As a result, each floor will have two lobbies, with more space to allow people to manoeuvre more easily. The overall design addresses key issues of inclusion and equality for building users. “I wasn’t aware some of the issues with people backing out of lifts,” Mr Quinn said. The lift core is designed to still allow people to escape in the event of a fire and feel safe in a building knowing they won’t be stranded on a higher floor. “If you’re in a wheelchair or not able bodied how do you traverse out of a building that needs to be evacuated?” Mr Quinn said. The project was a learning experience for Mr Quinn, a construction engineer by training. The Quintessential team launched a world search for access consultants even before hiring architects. That search, said Mr Quinn, ended back in Australia with Morris Goding Associates and Morris Access Consulting. “It’s an opportunity to showcase universal design and world-class accessibility options that can inspire a workplace of change for people of all abilities and skills,” said Nick Morris. Design studio Architectus, building consultants ARUP and construction company Built worked on proposal. Technology plays a big part in it, with an “i-beacon system”, connected to smartphones, assisting users navigate toward and through the building. Mr Quinn is also hoping the Ryrie Street proposal, if successful, will be one of the first in Australia to attract a WELL rating, reflecting its impact on health and wellness. “It will set the benchmark and it will demonstrate what’s required,” Mr Quinn said of the project. Geelong, Victoria’s second largest city, is fast becoming a hub for state and federal government services. The surge of bureaucrats is a welcome tonic for a local economy hit by the Alcoa aluminium smelter closure and Ford’s upcoming exit. The Transport Accident Commission has moved to the city and the Australian Bureau of Statistics will also be based there. Worksafe is also moving, Quintessential successful in its $120 million proposal to house the agency in a new development on Malop Street.